Getting pre-qualified is the initial step in the mortgage process, and it’s generally fairly simple. You supply a bank or lender with your overall financial picture, including your debt, income and assets. After evaluating this information, a lender can give you an idea of the mortgage amount for which you qualify. Pre-qualification can be done over the phone or on the internet, and there is usually no cost involved. Loan pre-qualification does not include an analysis of your credit report or an in-depth look at your ability to purchase a home. Because it’s a quick procedure, and based only on the information you provide to the lender, your pre-qualified amount is not a sure thing; it’s just the amount for which you might expect to be approved. For this reason, a pre-qualified buyer doesn’t carry the same weight as a pre-approved buyer who has been more thoroughly investigated. Getting pre-approved is the next step, and it tends to be much more involved. You’ll complete an official mortgage application (and usually pay an application fee), and then supply the lender with the necessary documentation to perform an extensive check on your financial background and current credit rating. (Typically at this stage, you will not have found a house yet, so any reference to “property” on the application will be left blank). From this, the lender can tell you the specific mortgage amount for which you are approved. You’ll also have a better idea of the interest rate you will be charged on the loan and, in some cases, you might be able to lock-in a specific rate. With pre-approval, you will receive a conditional commitment in writing for an exact loan amount, allowing you to look for a home at or below that price level. Obviously, this puts you at an advantage when dealing with a potential seller, as he or she will know you’re one step closer to obtaining an actual mortgage. The other advantage of completing both of these steps – pre-qualification and pre-approval – before you start to look for a home is that you’ll know in advance how much you can afford. This way, you don’t waste time with guessing or looking at properties that are beyond your means. Getting pre-approved for a mortgage also enables you to move quickly when you find the perfect place. 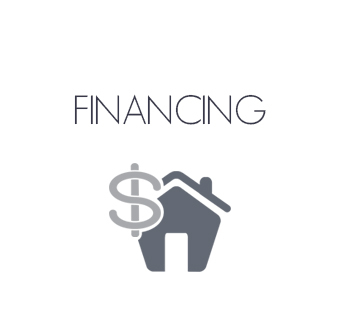 When you make an offer, it won’t be contingent on obtaining financing, which can save you valuable time. In a competitive market, this lets the seller know that your offer is serious – and could prevent you from losing out to another potential buyer who already has financing arranged. Once you have found the right house for you, you’ll fill in the appropriate details and your pre-approval will become a complete application.